Americans spent over $14 trillion on consumers goods during the last quarter of 2018. Keep in mind, that was during the final quarter of that year. It goes without saying that quite a few such purchases were perhaps non-essential. Its human nature to waste money. What is not forgivable is not correcting such habits when they are recognized. Every impulse that we feel to buy something should not be heeded. Unless you are driving a large car, most average size vehicle have a premium on available interior space. Too many people make a bad habit out of cluttering their cars with unnecessary items. So, it doesn’t seem to make much sense to actually pay for a product that enables your worst tendencies to actively fill your car with too many and/or unnecessary items. Such a product is the Slotpack car door organizer. It is a multipocketed sleeve that you hang from the passenger side door. You can store water bottles, snacks, umbrellas, and other items securely. Is this essential? For one thing, you have a console and dashboard compartment. Also, depending on the size of your car, you may be decreasing available space to increase a perceived sense of convenience. The Slotpack is a European invention that was borne out of a Kickstarter crowdfunding initiative. You can get one for about $110. Hey, I love coffee as much as the next person. I drink it almost every single day. Also, as much as I love espresso, I do not like standing in line for it either. Buying a traditional espresso machine can cost hundreds or thousands of dollars. That is why most people opt to buy the more affordable Nespresso brand of espresso machines for home use. However, now you can buy a handheld espresso machine for when you absolutely need a 1.6-ounce cup of espresso on the go. The Wacaco Minipresso GR weighs less than a pound and is the size of a small thermos container. A built-in piston provides over 116 psi to create a tiny cup’s worth of espresso. Definitely more novelty than necessity, but hey, a cup of joe is a cup of joe. Costs about $45, but there is also a $65 model available. About half of American break or drop their cell phones. Most do not do enough damage to put their cell phone out of commission. How many people do you know who still own a cell phone with a cracked screen cover, or the so-called, “spider web,” app? Still, some people do damage their cell phones beyond repair. Now you can buy insurance for such occurrences. However, cell phone insurance may not be all that practical. For one thing, it can cost you as much as $200, or more, a year in premium payments. You may be limited to two claims per year, and there could be a $275 deductible per claim. The deductible that you pay may cost significantly more than your actual cell phone. You also don’t have a say in what kind of replacement cell phone you receive. 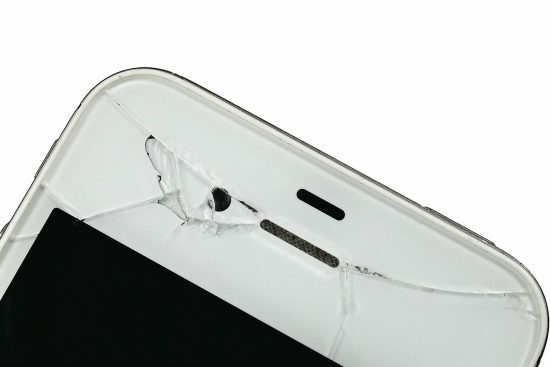 Your plan may just give you a refurbished, used cell phone as a replacement. Additionally, you may spend hundreds of dollars a year to keep the policy in force and never break your cell phone. Insurance is a necessity in life, but so is prioritization. It’s a concept that we learn as children. Everything that we want in life may not be what we need. Don’t get into the habit of realizing such only after paying a lot of money to appreciate the difference.